Kathy DiFiore, Founder of the Several Sources Shelters, is a native of Rochester, and received her Undergraduate Degree in Psychology from the University of Rochester in 1969 and in 1979 received her MBA from NYU. She is currently studying for her doctoral degree at the University of Phoenix. From 1970 to 1978 she was a member of the NY State advisory Committee to the U.S. Civil Rights Committee. Her business career included holding the position of Personnel Director, American Express, Credit Card Division and Personnel Director at Degussa Chemicals Corporation. Upon reflecting on her role as Personnel Director, she thought she might be able to help more people in need on a part-time, volunteer basis by giving them her friendship and spiritual support as found in the Holy Scriptures. Kathy decided to turn her own home into a Shelter for mothers and their babies. As the demand for her help for pregnant women grew, Kathy made a decision to leave the corporate world and devote full time to helping mothers and babies in need. 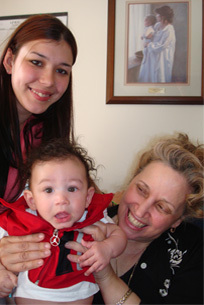 In a short time the demand became so overwhelming that with the help of other volunteers, she is now operating four residential shelters in New Jersey help of other volunteers, she is now operating four residential shelters in New Jersey; a 24-hour national hotline for pregnant women and five informative websites. Several Sources has opened a fifth shelter, Ladies Rest, in Newark for inner city poor women who are homeless and in need of special, daytime help to get back on their feet. The concept of Several Sources is the "haves" helping the "have nots". Several Sources Shelters helps the poor, the ill, the lonely and concentrates its efforts on the inner city poor children of Newark and their families. Several Sources does this through monthly "Care Packages" and frequent outings to parks, the circus and to the summer golf clinic. Since mid 1998 Kathy has devoted much of her time to producing "The Choice Game," a new DVD/computer game created by Several Sources Shelter to help young people learn about their choices and the consequences of their choices. If successful the game will help teach youth to respect their parents and the need for more homes for unwed mothers and prisons will be reduced. The 2007 segment of The Choice Game called "Confusion Burning" has been entered into the NY Independent Film Festival and again Best Educational Documentary in 2010 for "Surviving the Streets". Kathy's work was honored by President Reagan at the White House in 1988. In 1989, Kathy received an Honorary Doctorate Degree from Felician College. In 1991, The New Jersey assembly passed a resolution honoring Kathy?s work with mothers and infants throughout New Jersey and poor inner city children who are ?at risk? and children who are afflicted with AIDS (in Newark, NJ). In 1998, Kathy was honored by being invested as a Dame of Malta and received at St. Bonaventure University, the Gaudete Award for her continuing work on behalf of over 15,000 mothers and babies. In June 1999, Several Sources became a Non Governmental Organization of the U.N. Other Awards include the N.J. State Council of the Columbiettes "Humanitarian of the Year Award in 1989, St. Elizabeth's College Catholic Woman of Achievement in 1995, a Dame of Malta in 1998 and the Pax Christi N. J. Dorothy Day Award in 2001 and she is an Honorary Lifetime Member of the United Nations Women's Guild. Kathy is also the recipient of the 2005 Dr. Martin Luther King, Jr. Community Service Award from the Franklin-St. John's United Methodist Church of Newark, NJ. All operating expenses for the Several Sources Shelters is a 501 C-3 non profit organization which is funded through private donations, golf outings, dinners and free will offerings at various churches. The Choice Game is funded in part through a grant from the US Department of Health and Human Services. The Choice Game curriculum has been a part of the Newark , NJ Public Schools heath curriculum, the Standing Rock High School curriculum in North Dakota and in several other schools, after school programs, hospital resource centers throughout the U.S. Kathy has shared The Choice Game curriculum positive research at the '05 Medical Institute for Sexual Health, the '06 Abstinence Evaluation Conference and in the '07 California Journal of Health Promotion. In August 2007 Kathy and the Several Sources Shelters won has the Best Educational Documentary in the New York International Film Festival for their documentary called "Confusion Burning" and again Best Educational Documentary in 2010 for "Surviving the Streets". Several Sources Shelter is a prolife, Foundation dedicated to preserving the lives of those children who seek only that which is every child's right. That is the right to enter this world even as its parents entered this world. We believe that an preborn child has a right to be protected and defended. brethren, so also have you done it unto me. 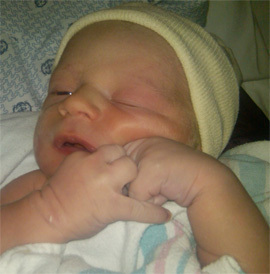 Several Sources attempts to save as many babies as we can. But we are only a small group with limited resources. Still the phone rings daily with pleas from young women who seek our aid. These young mothers...abused and abandoned, confused and tired, still have a desire to preserve the lives of their children. Even though their life is in chaos, they seek life for their preborn child. We are sorry to say that we can't help them all. We simply don't have the room. Which Girl do we turn away? The one who bears the brutal marks across her back where her boyfriend of parent has beaten her? Do we turn away the girl who has been sleeping in he back of an abandoned car for a week, with no food or money? Do we turn away the girl who arrives at the shelter and stands soaking wet, shivering in the cold and says, "I heard about your shelter, can I stay?" If we believe that all on Earth are our brothers and sisters, then we have had to chose between our sisters and our daughters. And it breaks our hearts to bear this responsibility. We desperately need an additional shelter for these women. Please help us by telling others about our website. Please most especially let young people know that they can turn to us for help. Your generosity and support will help to save many lives. Children are dying because their mothers have no one to shelter them. No one to feed them. No one to clothe them. Will you please help? I am often asked how to tell parents. I usually suggest writing a letter and having a person with you when you tell your parents. I suggest that this person should be older and friendly with your parents. The reason for this is that person can act as your go-between or family counselor. I'm going to send you a copy of a sample letter for your parents for you to review. Please stay in touch and let me help you more. Let me know if you have any other questions. I will be praying for you. I understand why you are so upset and I know that we are facing a very difficult time right now. I am very grateful that you want what you think is best for me, which means that you really do love me. I believe you loved me even before I was born. And (even if I am wrong) I thank you for keeping me safe for those first nine months of my life. I know that you didn't have to. I have a little baby inside of me right now. I know that it did not happen in the best way, but that does not change things. Like every mother should, I already love my baby and care about his or her life. One day I want my child to know that I loved my baby enough to let him or her grow just as I had the chance to do. And one day my baby will thank me. Sure it is inconvenient. It is going to be hard and will take a lot of adjustment. It might even embarrass you, but isn't life worth it? The best thing for me is not to kill my own child. That is something I would never forget. I just can't see killing somebody just because it would be difficult to take care of them. You say that you want me to be responsible. Well, that is what I am trying to do. But I want to be responsible for something good, for something loving. Having an abortion is certainly not that. And in the long run it will hurt me more than anyone can say. And it will kill somebody who is already here. Maybe I haven't talked about God very much. Maybe I haven't prayed enough. But this baby has changed me. 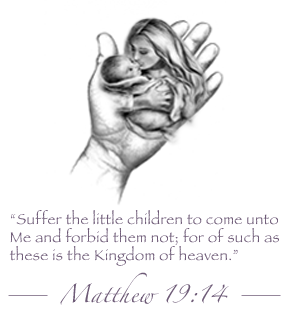 I know that it would be wrong for me to end my child's life, who like me is a child of God. Please, won't you pray to God for the strength to support me in this decision? I am sure that one day you will be glad to know somewhere a grandchild thanks you for their life.